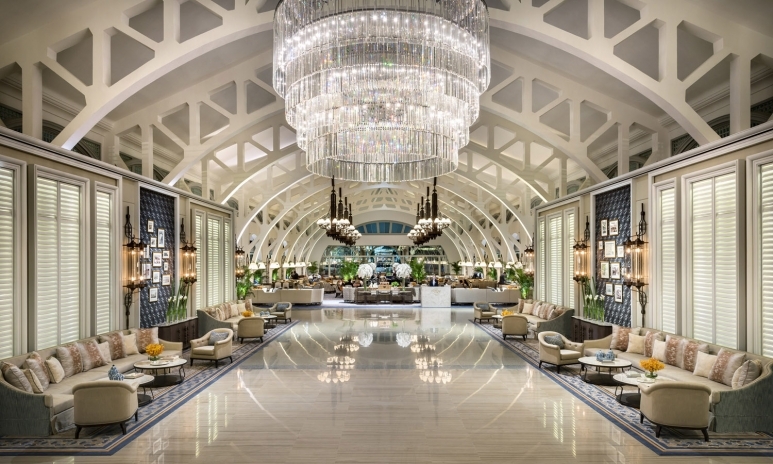 Homegrown talent André Fu, of design studio AFSO, is the “It” architect of the moment, racking up an impressive portfolio of mega hotel projects. The waitlist for André’s expertise might have something to do with his “relaxed luxury” aesthetic, which combines luxurious materials, historic references and unexpected proportions. The latest to debut? 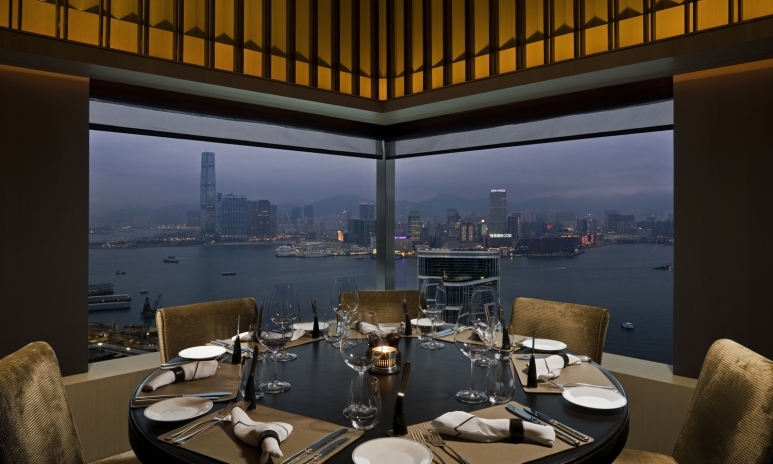 Kerry Hotel Hong Kong opened this spring, following earlier landmark projects such as The Upper House and the Fullerton Bay Hotel Singapore. But the award-winning architect is far from finished. His ambitious roster includes the Waldorf Astoria Hotel Bangkok and the Rosewood Tanah Lot in Bali, both scheduled to open in 2018, followed by the Park Hyatt Resort in Phuket in 2019. In the meantime, design-savvy travellers may want to book a visit to one of these Fu-designed hotels and restaurants. One of André’s largest projects to date, Kerry Hotel opened on the Hung Hom harbourfront earlier this spring. The designer is behind virtually every detail of the hotel, from the staff’s uniforms to the art curation, floral design and landscaping. Channelling urban-resort vibes, the 16-storey hotel makes a strong first impression. The lobby features 80-metre-wide, floor-to-ceiling windows with stop-in-your-tracks views of the harbour. From there, the relaxed and refined atmosphere continues in the modern guestrooms and Red Sugar terrace bar, designed as a homage to the site’s former life as a shipyard. At The Berkeley Hotel in London, The Opus Suite is the kind of glamorous retreat you’ll want to move into. Designed by André, the two-bedroom space is thoughtfully laid out to maximise the 302-square-metre space with a natural flow throughout the full-service kitchen, spacious living room, 10-person dining room, bedrooms, and palatial marble bathroom. Soft neutral colours, bronze details, and bamboo fixtures create a minimalist backdrop, letting 270-degree views of Hyde Park steal the show. 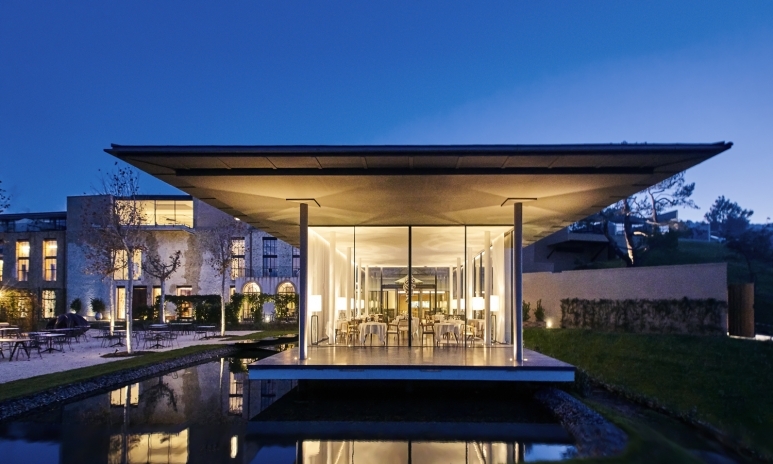 A hidden retreat in the countryside of Aix-en-Provence in southern France, Villa La Coste debuted last year on the grounds of Chateau La Coste. 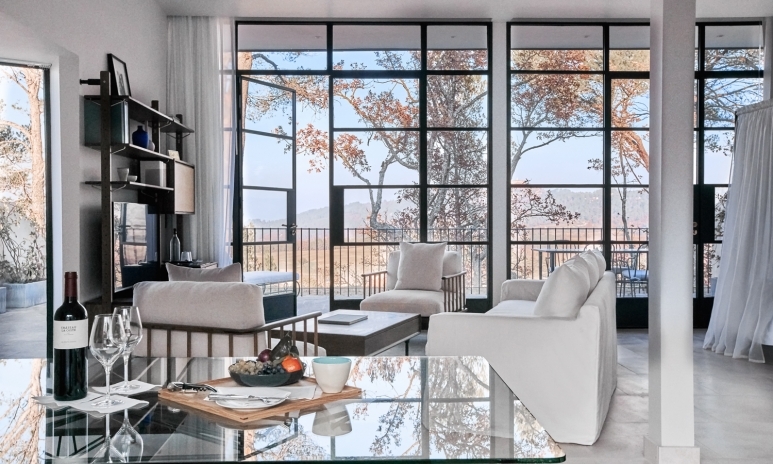 With the Luberon mountains as a backdrop, the new hotel features 28 suites, each with soothing all-white interiors and views of the vineyards. Fu is behind all of the common areas—including the light-filled lobby, bar, library, and restaurant—all of which will incorporate a mix of elegant timber, Botticino Crema marble and soft lighting for an intimate result. Located in Seoul’s business district, the Four Seasons Seoul opened in 2015 and quickly amassed a shelf full of design awards. André Fu is behind two of the hotel’s dining experiences: Kioku Japanese restaurant and Michelin-starred Yu Yuan Chinese restaurant. 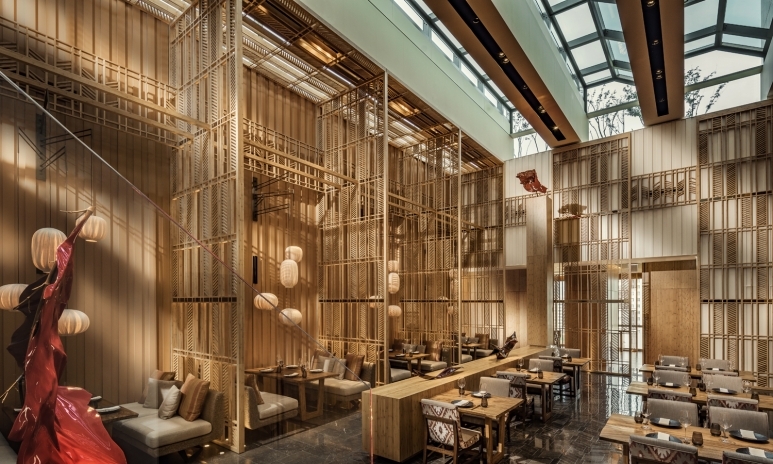 While both are gorgeous, Kioku is the most visually striking, with epic double-height ceilings and a forest of intricate bamboo panels across various levels. Throughout the restaurant, details such as solid oak wood tabletops, an 11-metre-long sushi counter and skylights further add to the back-to-nature vibe. Tucked away on the seventh floor inside the Four Seasons Hotel Tokyo at Marunouchi, Motif Restaurant & Bar is home to 270-degree views over Tokyo Station. The wall full of windows streams in natural light across the French restaurant’s dining areas. No matter where you sit, the 334-square-metre space channels a “Spirit of Earth” concept, in both the farm-to-table food and the nature-inspired interiors. Built entirely over water on Marina Bay, the Fullerton Bay Hotel Singapore is a heritage property with a modern spin. 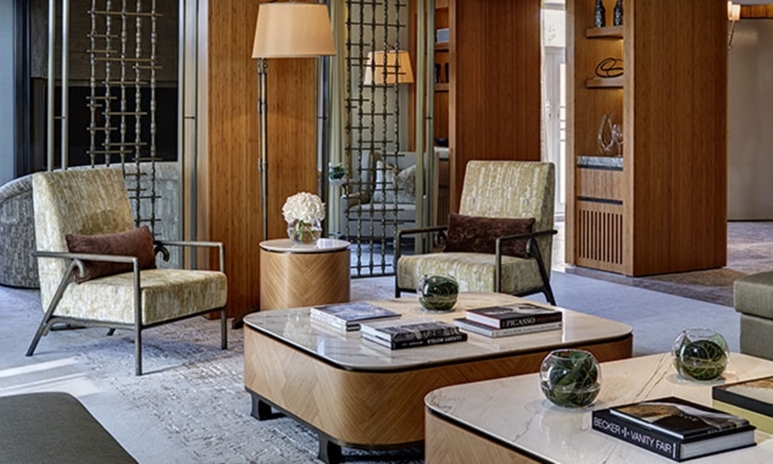 While arched lobby ceilings, classic furniture and bountiful florals may evoke a sense of a bygone colonial era, eclectic furniture and contemporary art keep this 100-room property firmly rooted in the present. The best part? The hotel offers marina views throughout, from floor-to-ceiling windows in the bedrooms to the rooftop pool and bar. André Fu’s first hotel project is now his claim to fame. 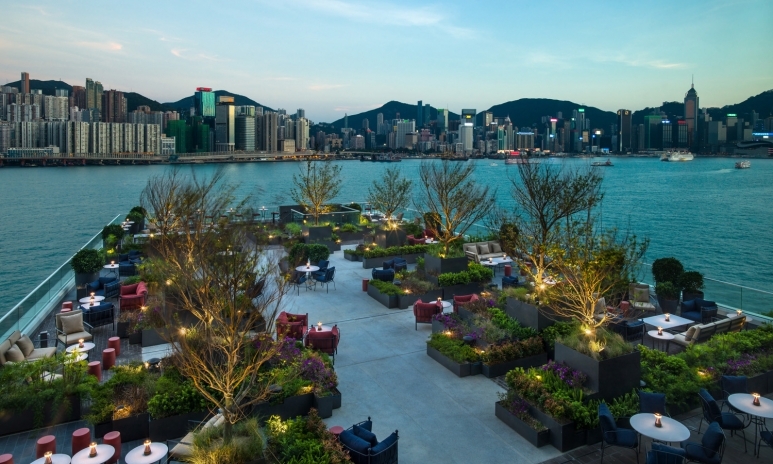 The “relaxed luxury” atmosphere of The Upper House provides a sense of zen in chaotic Hong Kong—making this the perfect staycation spot. 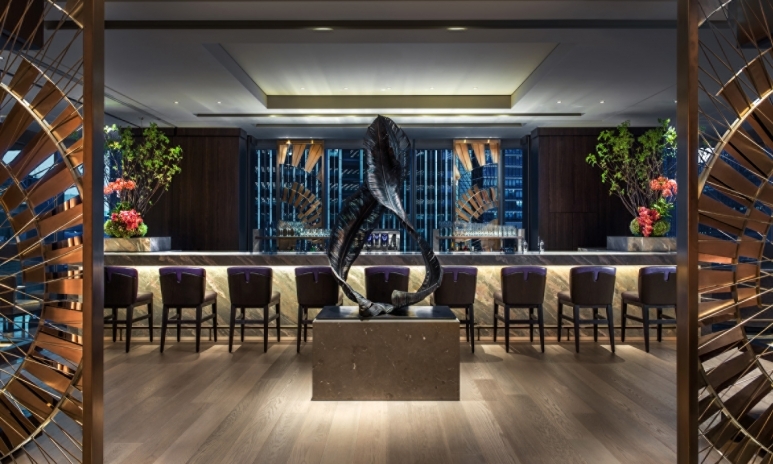 The relaxed yet sophisticated design sets the tone, with more than 300 pieces of artwork throughout the hotel and show-stopping views from Cafe Gray Deluxe on the 49th floor. To make each room feel like a minimalist private home, Fu used natural materials—including bamboo accents and limestone for the bathtubs. Sign up to our weekly newsletter to get our top tatler_stories delivered.